Divorce doesn’t have to be a battlefield. In The Wiser Divorce, Angie Hallier, family law attorney for over 20 years, shares the best strategies for finding the right attorney, working collaboratively, avoiding extra costs, and keeping tempers in check. With Hallier’s advice, you’ll emerge post-divorce with a positive attitude, ready for exciting opportunities in your Next Best Life. 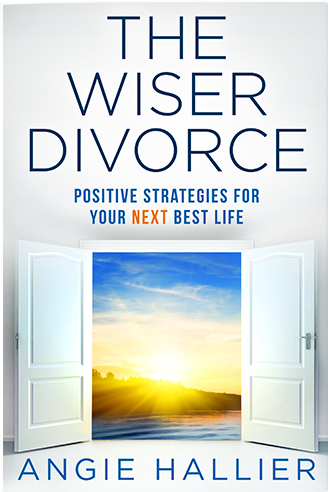 The Wiser Divorce offers keen insights and advice. Hallier forges a new direction for the world of divorce." Useful advice coupled with insight of a top divorce lawyer, The Wiser Divorce is an exciting and informative read about how to best handle divorce and start a better future." 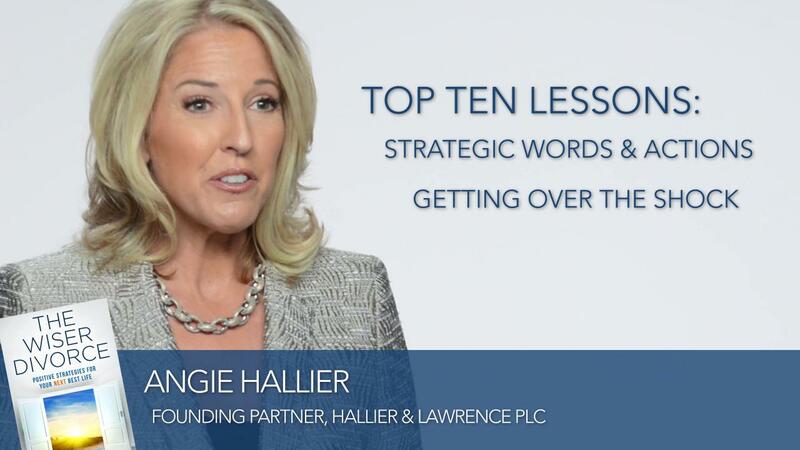 Angie Hallier explains the most common mistakes people make during the divorce process and the top ten lessons you’ll learn from The Wiser Divorce.